This is a piece of digital art created from copyright free images and textures on the Web. Jerry Jones and Nick Fortune provided some of the textures. Other edits of this image are now posted on my other blog, Pixel Dust Photo Art if you would like to check them out. 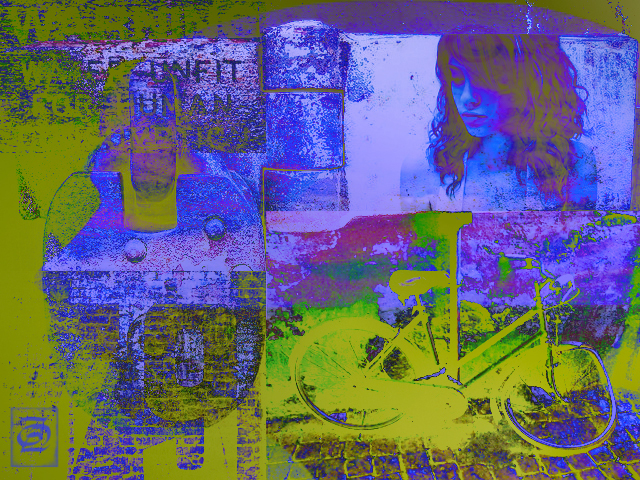 If you use textures to enhance your photographs, do check out my Free For You page on Pixel Dust Photo Art. There are lots of free downloads waiting for you there. Oooh.. cool. You're a talented lady, Bonnie. Thanks Bonnie for visiting and commenting on my blog,I'm glad to follow you to! I see you're still having fun creating pretty images. You come up with some wonderful colours. Interesting. . . I'll take a look! Wonderful artwork Bonnie! Amazing images here!! Textures look FAB...Thank you so much!! !